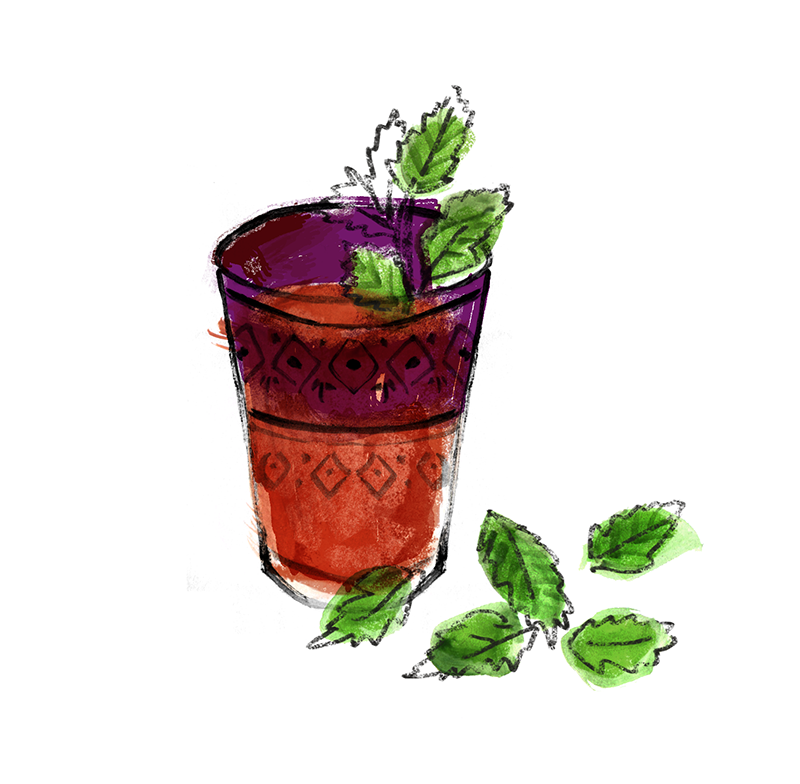 I like to make this tea during the summer when my mint plant is growing like crazy. 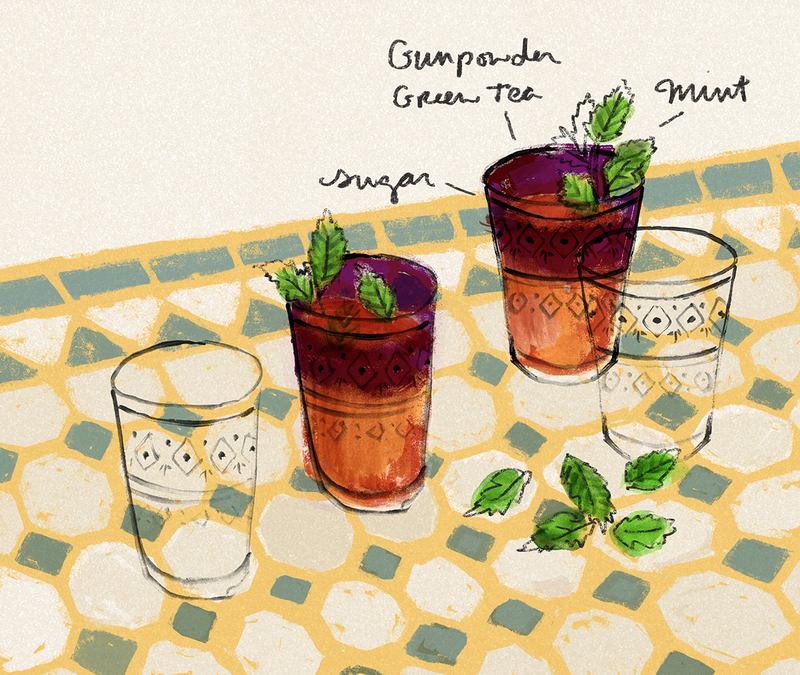 It’s the perfect drink when the weather is hot, and fills the air with the smell of sweetness and mint. This recipe calls for a Moroccan tea pot, which is a metal pot that can be heated up on the stove and has a strainer in the spout. If you don’t have one, you can also substitute a regular pot and just use a tea strainer to filter the tea leaves. Place tea leaves in a teapot with 1 cup of boiling water. Swirl, strain and discard water to clean and remove bitterness of the tea. 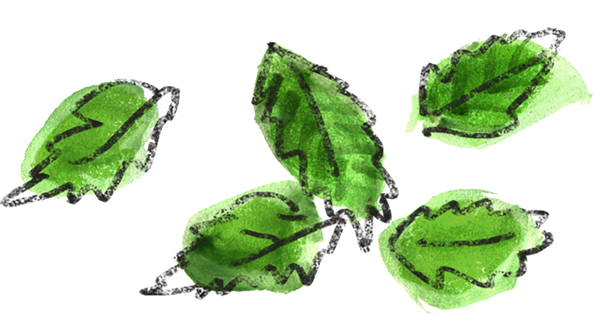 Keep tea leaves in pot. Add 3-4 cups of boiling water and return pot to stove. Let boil for one minute. Add a large bunch of mint and 2-3 tbsp sugar to the pot. Bring tea to a boil over medium heat. This allows the sugar to caramelize. Blend flavors together by pouring a full glass of tea (through a strainer, if you aren’t using a Moroccan tea pot), and then pouring it back into the pot. Repeat a few times. To create frothiness, raise teapot a foot away from the cup while pouring to allow the tea to breathe.